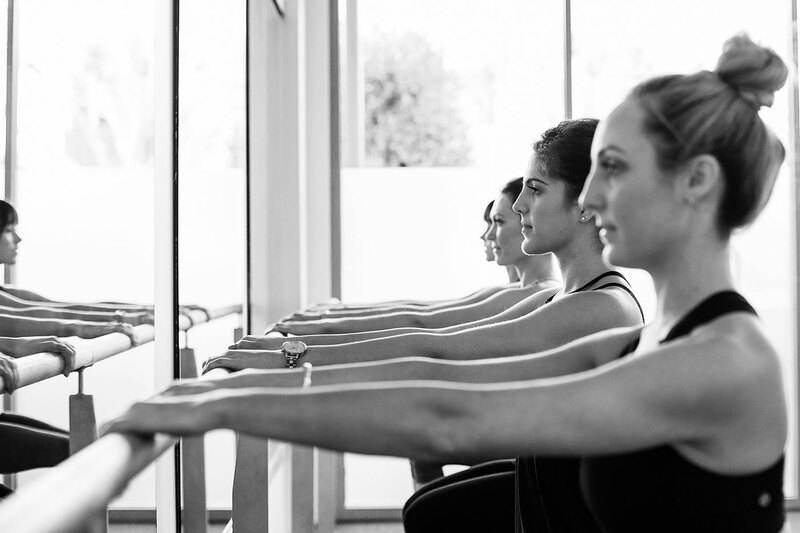 We believe that Pilates is about you. Pilates has the power to not only make you look good but to feel great! With our unique twist on the contemporary style of Pilates, you will recognize the quality and personality we bring to you each class. It’s because we LOVE it and can tailor every workout, every experience, to what you desire. It’s a lifestyle, make it part of your everyday. A challenging workout targeting all muscle groups! Work against spring resistance to sculpt your muscles while improving posture, flexibility and mind-body connection. Develop core strength and move your spine and body in all ranges of functional movement. Establish the foundation you need for your everyday health and fitness. All levels welcome. Take it down where it all began with a flowing Pilates session done on the mat. Move from exercise to exercise working through the whole body. Think no equipment means easier workout? THINK AGAIN! With nothing to rely on except the strength and control of your own body, you will tone and lengthen from head to toe. Build and understand body awareness and stabilization that you will use on the mat and beyond. All levels welcome. Do you want to get your heart rate pumping? If your looking for something a little faster paced you will love this upbeat fun filled class that is all choreographed to music. Barre is mostly a standing workout using the ballet barre to help with balance. The positions and movements are basic and functional; it’s how deep you work in them that make’s the difference. We are constantly changing our music and moves to keep each class fresh and challenging. Each class is designed to be effective for people at all levels of experience and fitness. A dynamic fusion of Mat Pilates and Fitness Boxing. This class is the perfect mix of cardio, strength and mind-body connection! Boxilates ramps up the traditional Pilates class with the pace and co-ordination of fitness boxing. Using boxing pads and gloves, you’ll combine short boxing drills and cardio intervals with functional movement as well as exercise on the Pilates mat. The best part? It’s suitable for all levels and ages! Pure flow is a Vinyasa style class that is all about fluidity geared to open and strengthen the entire body. You will increase your flexibility and put your mind at ease while you follow your breath through flowing sequences. Each class will be a little different aligning with your instructors philosophy but in general Vinyasa is a vigorous, more athletic approach to yoga. You will be sure to leave this class feeling strong, mobile and energized. Our Pre/Post natal classes are for the soon-to-be Pilates mamma or the (already) Pilates mamma. No reason to stop doing your regular practise, we have designed a class that suits your body while it changes. Pilates is one of the most highly recommended forms of exercise during the course of your pregnancy. It can be very gentle or more advanced for the seasoned Pilates student. Keeping the pelvic floor muscles strong and breathing deeply are both invaluable during pregnancy. It’s also a fantastic, safe and effective way to get your post-baby bod back. We have made booking in easy. Have access to your account at the tap of a button. Book classes quickly without having to sign in each time and purchase session with a single click. Receive notifications from us about News and Events. Rate your session, give us feedback and share the love on your social media outlets. “I attend a mix of classes at The Pilates Lab. I find each format beneficial, challenging and most importantly enjoyable. You might even say I have become a little obsessed. With genuinely approachable, friendly and knowledgeable instructors, The Pilates Lab experience caters for all levels of Pilates students. I always love coming to my reformer classes at The Pilates Lab! The equipment is pristine, and the instructors are very experienced. I love each of their unique styles and every workout is different and effective. There has not been one session where I was not challenged! I had two kids very close together and so I escape to the “Lab” literally. I feel Pilates has rebuilt my core and is keeping my posture and back strong. I’m always hanging out for my next session here, I get stressed if I don’t get my fix! I have been going to The Pilates Lab for over two years and I can’t get over how much going regularly has improved my strength, happiness and general well-being. I always feel so much better after a Pilates class and I love the variety of classes The Pilates Lab offers. I have noticed a huge difference in the toned quality of my body and my fitness levels. I love the atmosphere at the LAB , it’s very welcoming and everyone is so lovely (teachers and clients included). I have and will continue to recommend The Pilates Lab to anyone and everyone – you will be hooked after your first class! “I am in my fourth year of Pilates classes, often the only guy, and I love the classes. Pam and her team put in that extra effort to make the classes interesting as well as beneficial. The classes always take me that little bit further in terms of flexibility, strength, control and endurance.